Catrine DeMew official art (?). . 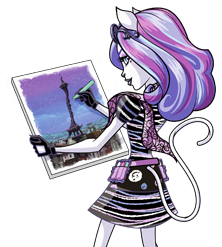 Wallpaper and background images in the Monster High club tagged: monster high catrine. I KNOW HER! Shes in the Scaris collection!